Vancouver band Skyote are outwardly not trying to impress anyone and yet they are impressive. I’m sure there’s a bunch of bands out there who are “cool” and say they’re not trying to impress anyone and just make music for themselves or to have fun with their friends but consciously label themselves and their music in a way that fits with whatever is trendy at the moment. Skyote though stick to the basics and excel. Under their Facebook page’s “short description” section, a place that’s usually cluttered with buzz words like jangle-pop or an odd mixture of descriptive words, Skyote write the names of their band members – “ian, bryan, ryan, jeff, kyle” – confirming, as Michael pointed out to me, that above all, they have humans in their band. Refreshingly understated online presence aside, there’s nothing flashy about Skyote’s rock sound but their confident melodies make music making look easy and in turn they’ve crafted an uncomplicated debut record that’s very likeable. The voice of lead singer Ian Johnston is an immediate draw. Reminiscent of a softer sounding Marc Morrissette (frontman for Octoberman) or even The National’s Matt Berninger, Johnston’s vocal shudder adds texture to each of the eight songs. Opener “Last Time” has Johnston jumping from a low growl to a shaky falsetto of “oos” and resting somewhere in between during the energetic chorus. In “Hopeful Sprint Through the Fog,” another strong showing of Ian’s vocal range, the first thirty seconds are a gritty and dense vocal display only to open up later with a very, yes, hopeful upbeat chorus. 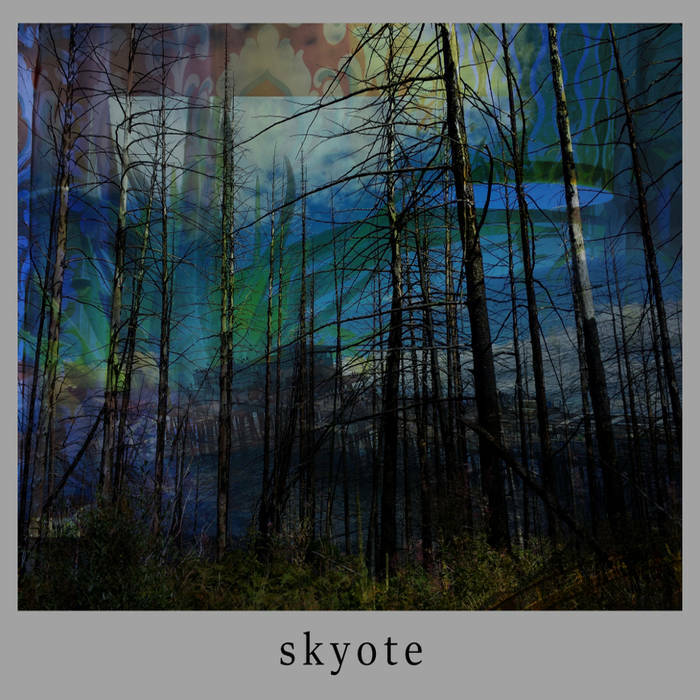 Skyote is a familiar sounding rock band that rock all the same.